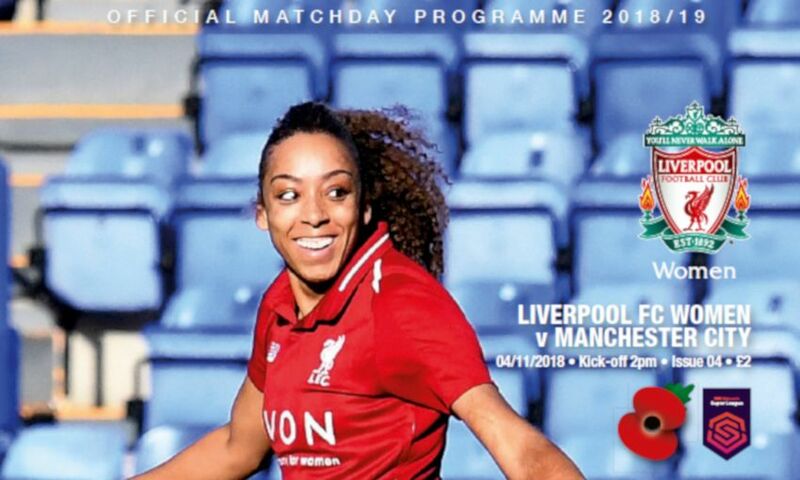 Liverpool FC Women host Manchester City Women in the Women's Super League at Prenton Park on Sunday afternoon - make sure you pick up an official programme if you're heading to the game. Inside, Vicky Jepson pens her first manager's notes, and there are also exclusive interviews with midfielder Christie Murray, winger and cover star Jess Clarke, and goalkeeper Anke Preuss, plus the captain's column from Sophie Bradley-Auckland. We also have the lowdown on our visitors from Manchester and all the latest match action, facts and statistics. With all this and much more, make sure you pick up your copy of the official matchday programme, which will be on sale inside the ground priced at £2. Remember, season ticket holders for Liverpool FC and Tranmere Rovers FC, as well as LFC Members, will gain free entrance to the fixture.